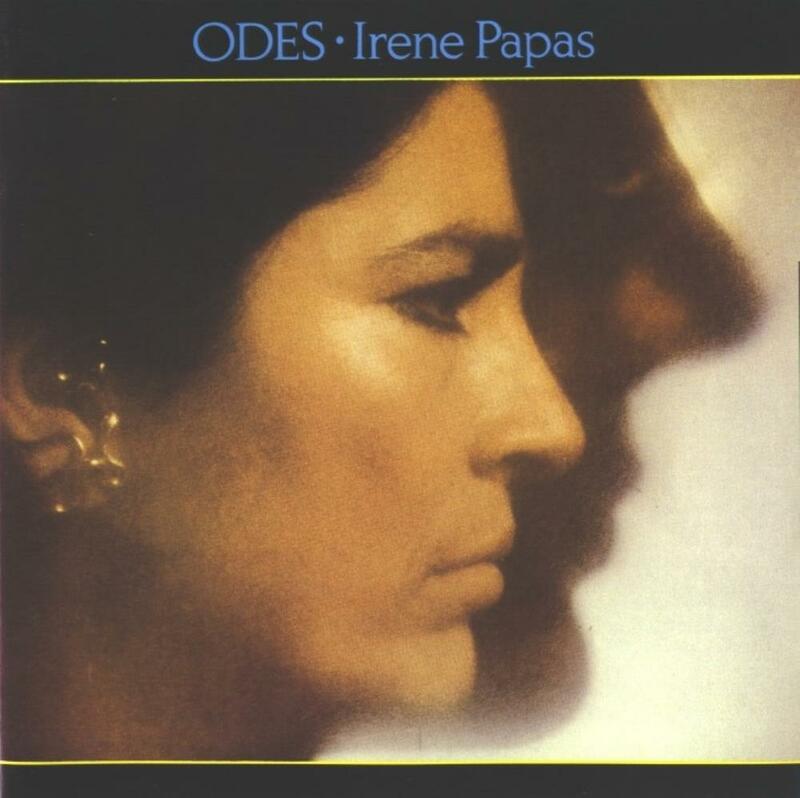 Odes is the first collaboration album between Vangelis and Irene Papas, who is both a renowned greek singer and actress. She became famous with acting in movies as The Guns of Navarone Zorba the Greek and "Z", and later in Captain's Corelli Mandolin. She also created many movies based on the original plays of Euripides and already worked with Vangelis on Aphrodite's Child's 666. All tunes Irene sings on this album are Greek traditional melodies to which Vangelis adds two instrumental tracks. Of course she sings in Greek... These ressurected songs became quite a popular work in their home land. The combination of Irene's sharp mystical voice and Vanglelis synthetizers offers a very inspired record. The opening track, Les 40 Braves, tells the story of an heroic march of young men fighting their freedom. The tune is majestuous, epic and sometimes melancholic. It grows in intensity and becomes more and more powerful. Nerantzoula is nearly an ethereal peaceful song. Then, the musical direction changes with the first instrumental of Odes, La Danse du Feu, a pulsing electronic cosmic in the vein of Albedo 0.39, finishing with a smooth flute middle-oriental melody. Les Kolokotronei is a beautiful moment where Irene sings a capella. The next track, Le Fleuve is much more atmospheric, mysterious and spacey. There comes the second instrumental of the album, Racines, a mystical tune beginning with pretty flute playing with an hungarian feel, to go on with soft electronic sequencing and mandolin. Lamento is one of the great passages of Odes. The enchanting voice of Irene on ambient waves of music reminds me a lot of Dead Can Dance... Five years before ! The disc ends with Menousis, an enjoyable relaxing tune. Odes is one of Vangelis' best moments from the late 70s'. Quite original, Irene Papas' voice opens a new dimension to his music. Very recommended !